On Monday at a private hospital in Melbourne a 63-year-old woman entered the maternity ward. Accompanied by her 78-year-old husband the woman wasn’t a proud grandmother visiting her first grandchild, nor an excited aunt ready to celebrate a new birth. This woman was giving birth and as she did the woman made history. As she underwent a caesarean section at 34 weeks pregnant to give birth to her first child the woman officially became oldest mother in Australia. At the age of 63 the woman gave birth to a daughter and ignited, once again, the debate over older mothers and what the cut off age for IVF treatment should be in Australia. 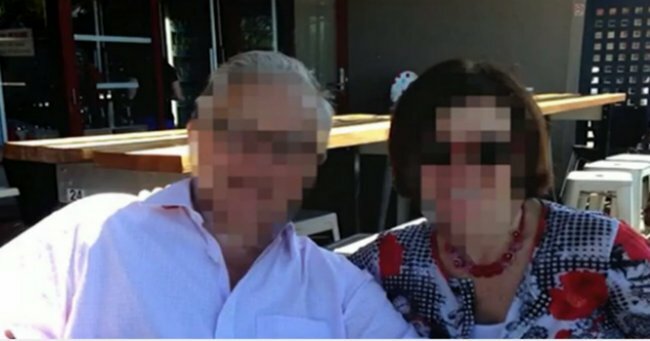 Seven News reported that the woman, a Tasmanian, gave birth at Frances Perry House private hospital in Parkville on August 1 supported by her 78-year-old partner. The couple is reported to have conceived their daughter through IVF overseas, using a donor embryo after several failed in-vitro fertilisation attempts. The mother and baby are reported to be doing well and will remain at Frances Perry House until she and her daughter are strong enough to head home to Tasmania. The woman is Australia’s oldest woman to give birth, she beats the previous record by three years held by a Gold Coast woman who gave birth in 2010 at the age of 60. The unnamed couple are from Tasmania. Image via Seven News. “That child will need looking after for 20 years, and there’s a possibility she won’t be able to do that." “Our bodies weren’t ­designed to have children in our 60s." Image via IStock. Data from studies carried out by the Australian Institute of Health and Welfare reveals that the average age of women receiving treatment using their own eggs or embryos, is 36 years, and the average age for women using donated eggs or embryos is 40.8 years. Unlike other OECD nations, Australia has no age limit on public subsidies for fertility treatment - though some hospitals and private centres impose their own cut off. In Australia, the number of women over 40 having fertility treatment has almost tripled in the last decade. But only one in 100 women over 44 will deliver a live baby. A recent investigation by Four Corners found that last year fertility treatment cost Medicare more than $250 million. Earlier this year the debate about what age women should stop using IVF treatments was sparked when an Indian woman, at the age of 72 gave birth. Dalwinder Kaur and her husband Mohinder Singh Gill had a healthy baby boy making her the world&apos;s oldest mother to give birth, according to The Times of India newspaper. They said at the time their life now “feels complete” dismissing the controversy over their age. Britain’s oldest mother, Sue Tollefsen, Via Facebook. But Britain’s oldest mother, Sue Tollefsen, who gave birth to her daughter when she was 57, has faced up to the critics who say its irresponsible saying she often has regrets over having her daughter so late in life. “The journey I have taken with her over the last seven years has been fantastic but what saddens me sometimes is when I look at her and look at myself I wonder how much time I have left with her. Ms Tollefson has called for an age limit of 50 years for women seeking infertility treatment. In 2010 a 60-year-old woman who gave birth after falling pregnant through a donor embryo. In 2011 a Gold Cost woman had her first child at the age of 50 a naturally conceived child. In 2010, a woman gave birth to twins, conceived via IVF, in Perth at the age of 57.